From the second I arrived in Oak Harbor, I was dying to get out and explore the stunning landscapes that the Island has to offer. 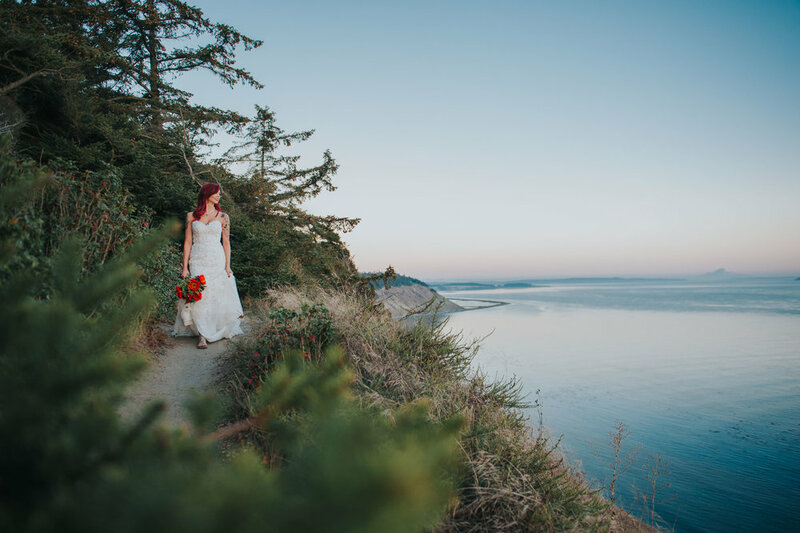 Coming from Oklahoma where everything is landlocked and flat, to being surrounded by mountains, trees, and ocean was a photographic dream come true...so I was beyond excited when I connected with newlywed Liz who was interested in bridal portraits on the coast. We did a short trek through the woods, then up a trail that kicked us off on cliffs overlooking Port Townsend and the Olympics across the water. 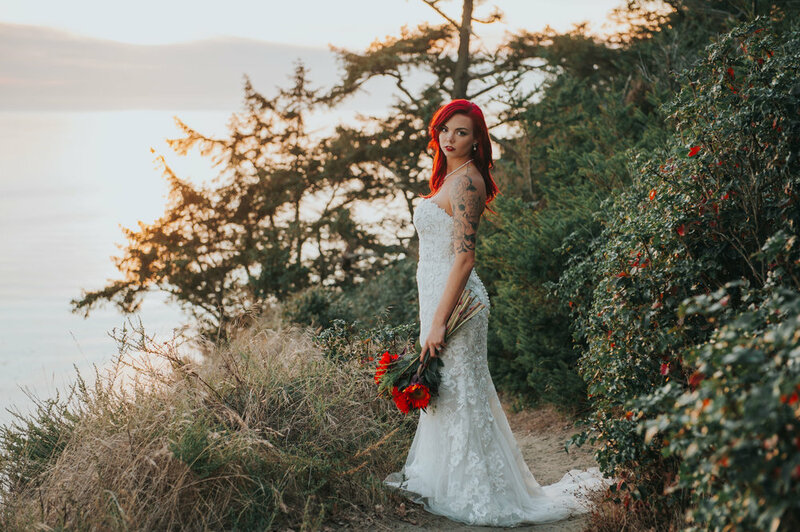 I totally loved the way the sunset lit up her red hair, and how she rocked that dress and firey bouquet! Thanks Liz for exploring and shooting with me! Had a blast!